Having to endure certain illness or conditions can make daily life difficult to live. There are those conditions such as neuropathy that complicate an already complicated life. Neuropathy is a complex condition of the nerves that affects the nerves ability to function correctly due to the damage that has occurred to the peripheral nervous system. 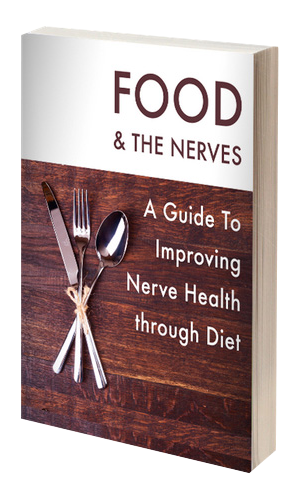 The peripheral nervous system is the communicator between the brain, spinal cord and nerve cell endings. When damage to the peripheral nervous system occurs, the brain takes longer to communicate to the nerve cell endings leaving the neuropathic patient vulnerable to injury. There is much debate about the various causes of neuropathy and to be honest there are several unexplained reasons why a person may develop neuropathy pains and symptoms. Most neuropathic patients wonder after diagnoses if there was some way they could have avoided this miserable diagnosis and the answer is a complicated one. Take for example the condition of diabetes, there are some individuals who naturally reject insulin and so they are unable to avoid the diagnosis where as other develop diabetes due to a poor diet. Diabetes is one of those conditions that if not treated or managed could lead to a health downward spiral. When diagnosed with a condition such as diabetes, there are certain lifestyle changes that have to be made in order for the diabetic to be able to function while suffering with this lifelong disease. Working around the diagnoses of diabetes often entails a proper eating guide, maintaining a healthy diet will keep blood sugar levels where they need to be in order to prevent diabetic neuropathy. Diabetic neuropathy is when nerve cell damage occurs as a result of high levels of blood sugar in the blood. When diabetic neuropathy develops, the individual begins to experience painful sensations in the lower extremities such as tingling, burning, numbness and needle like pricking when walking. Sensations such as the few listed begin to worsen over time unless some form of diabetic neuropathy treatment is had. Diabetic neuropathy treatment could be as simple as managing blood sugar or more entailed such as the implementation of insulin and prescription medications.